Eggs, Oats, and Bananas are all great breakfast foods. Nutritionists champion them because they release energy slowly throughout the day. This makes them great fuel for those early mornings. They are also likely to keep up fuller for longer. So how can you implement these ingredients into your breakfasts? One of the easiest ways to use oats is in porridge. 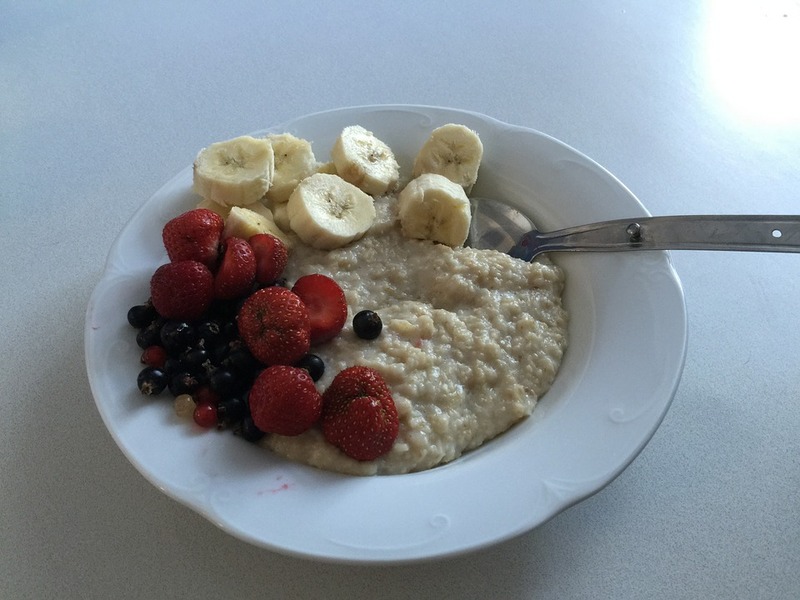 Porridge is a perfect breakfast dish. You can weigh out the oats the night before and in the morning top with milk and microwave or cook. The great thing about porridge is that you can pair it with so many different toppings. Sliced bananas and a drizzle of honey work well, as does a berry compote. If you have a sweet tooth you can even use cacao nibs as a topping. Eggs are incredibly versatile too. Fry them and place them on top of some rye bread or scramble them and serve with spinach and roasted tomatoes for a healthy and exciting breakfast. On the weekend, when you have more time, try making baked eggs too. If you’re trying to eat healthily snacks can often be your downfall. Store-bought snacks are often high in salt or sugar, which means they aren’t particularly healthy. Instead, try to make your own snacks. Making granola bars is easy, and they can be made in bulk and stored. This means it’s easy to grab one each day as your lunchtime snack. Toast a variety of nuts in the oven. Once they are starting to brown take them out and leave to cool. You’ll need to combine your nuts with some almond butter and honey until they are firm and hold their shape. Then store them in the fridge whilst they firm up. Alternatively, shakes are a good option on the go and after workouts. Try the protein world voucher code and see what shakes suit you. Pasta is a great option for lunchtimes because it’s filling and versatile. Often we smother our pasta with sauces and cheese which starts to make it unhealthy. Instead, make your own sauce and skip the cheese. Blend together spinach, pine nuts, a little oil, basil, and lots of seasoning. This should resemble a pesto. Toss cooked pasta in the pesto to make a simple and healthy lunchtime meal.